The fear demon is also working. And I’m going to say first off that the woman called Quinn who joined them is part of the fear demon - she’s too much woo-woo and too suspicious and definitely stirs the situation by saying there’s a Gerard ally among the deputies. But the fear woo-woo is definitely making things worse - Malia has several moments of near panic which is uncommon for her. The woo-woo continues to ratchet up sudden terror striking several people - driving two deputies to commit suicide. There’s also a moral quandary for Scott - because Jiang and Tiernan did kill those hunters. And it wasn’t a clear cut case of self-defence - yes hunters killed Saotome’s entire pack but them, but they hunted down the hunters through public records and attacking their homes… and by “hunters” they mean “suspected hunters”. Scott is super conflicted about who the good guys are when Sherrif Stilinski brings to awful truth: in war there isn’t good and bad, there’s us and them. The whole scene is well done with lots of growing tension and fear and a complete sense that something really terrible is going to happen very soon. Sheriff Stilinski called him - because Scott’s dad is an FBI agent. Now I’d rather think the FBI would have Views and Options when it comes to an angry mob sieging a police station but I guess we’re going to stick to the whole exposure worry for why that mob is not now very very very very very very very dead. Instead he has a new plan - all the supernatural agree to leave town (with Jiang and Tiernan in a prison truck) which seems to quiet things down, though it does make Mason unhappy that Corey is going to leave. Speaking of, Deacon (who is still around!) goes to Eichenn House and faces massive fear mojo to carve away part of the wall of the cell the Hellhound was held in. There’s an image on the wall but he can’t understand it. Also it’s a fear demon. Really? I mean this is a surprise to anyone? The fear monster is a fear monster. SHOCK SHOCK! 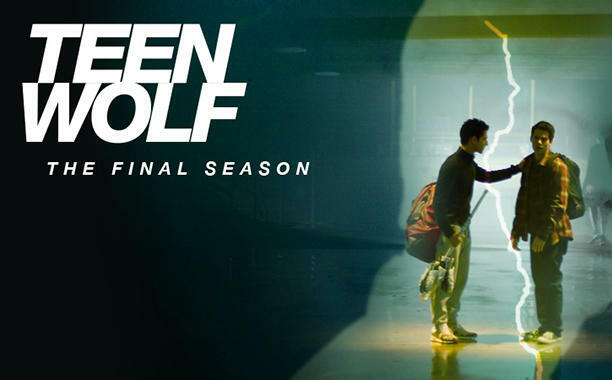 Oh and the gang aren’t really leaving Beacon Hills. But you all knew that, right?